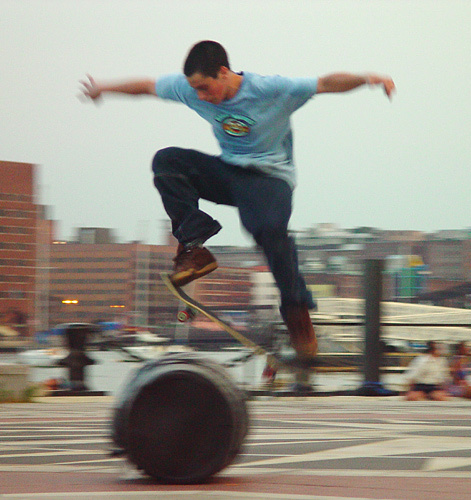 I was learning to pan the camera, and some boys in Boston were skating around. I decided it was a good opportunity to shoot. Very good work done. You achieve the right panning. Congrats.